Anybody who’s played a game in March in the northern states knows the feeling. Forty degrees. Nobody in the stands. Wind. Rain. Snow. A fastball on the hands. There’s no crying in baseball, but we’ve all thought about it in this moment. With these days inevitably coming, we’ve got the remedy for a ballplayers’ early spring blues. Cold weather baseball gear. 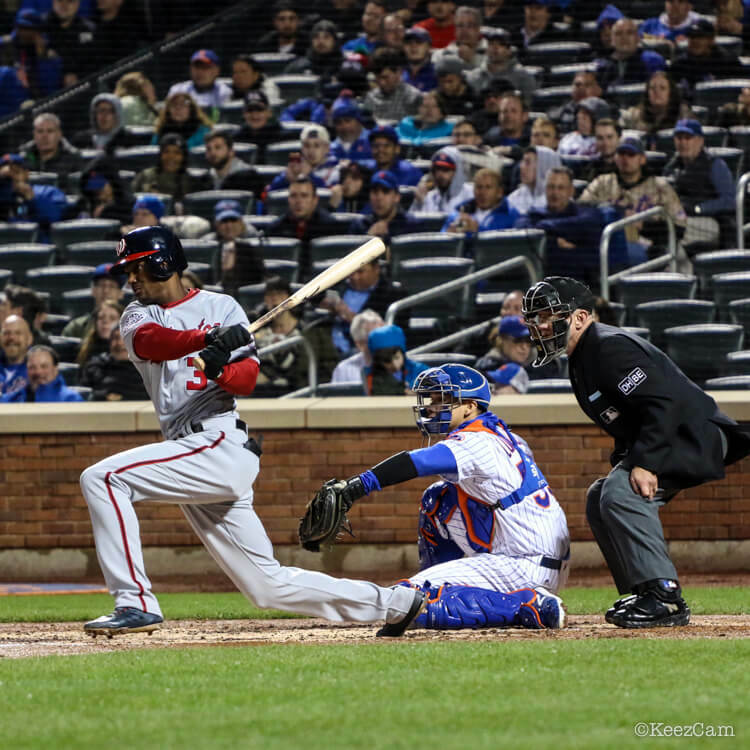 In this post, we’ll highlight how MLB players stay warm and perform at their best in cold weather. 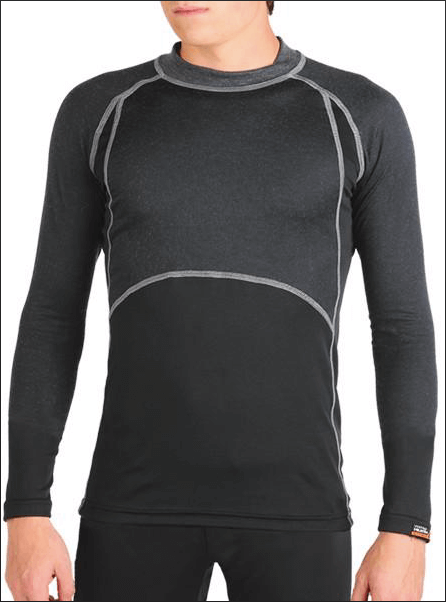 Compression in the base layer helps blood flow and is key to staying warm. Its a must-have. The two obvious candidates for the base layer are Nike and Under Armour, but since MLB players are allowed to wear whatever brand they want for undershirts, there are several options. Nike’s new compression tops for 2019 include the Nike Game (full sleeve) and the Nike Pro (3/4). For bottoms, Nike offers the Nike Pro tights in 3/4 and full length, which are regular training tights that will provide warmth. 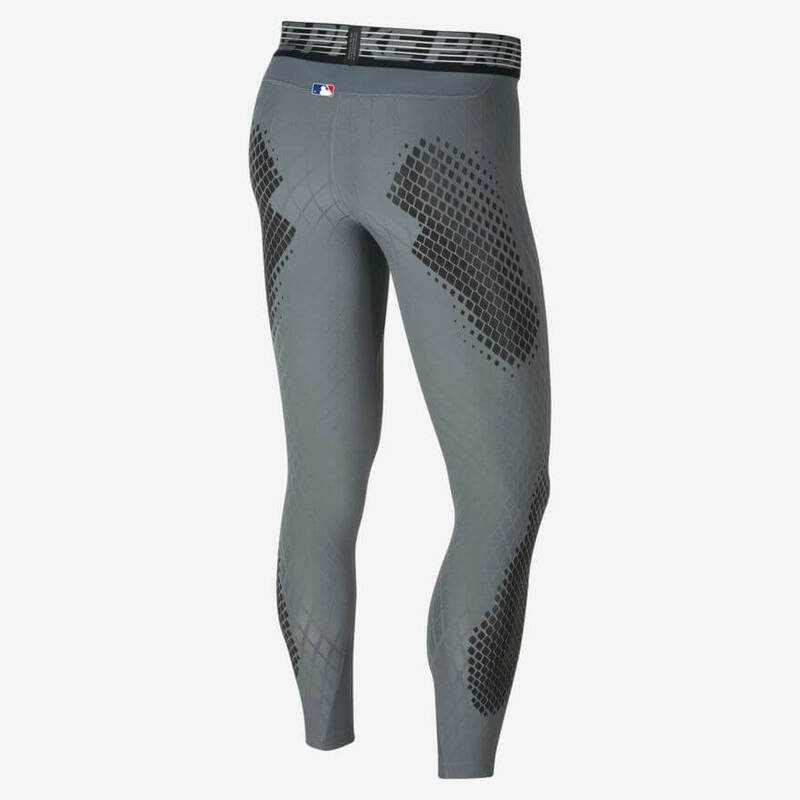 For baseball-specific tights, Nike offers the Pro HyperStrong Sliders (pictured), which in addition to compression have “abrasion resistance” in the areas that can get scraped up when sliding feet-first. 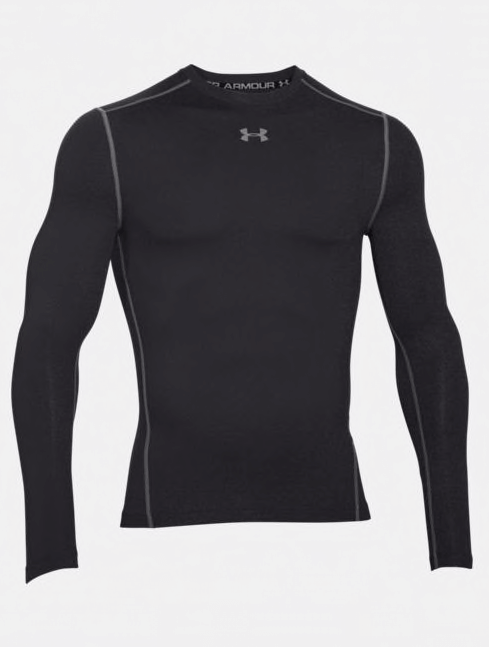 Under Armour doesn’t offer a long sleeve baseball-specific undershirt, but their ColdGear compression tops make for good undershirts. Regarding leggings, Under Armour doesn’t appear to offer anything baseball-specific, but their ColdGear leggings can help you stay warm. 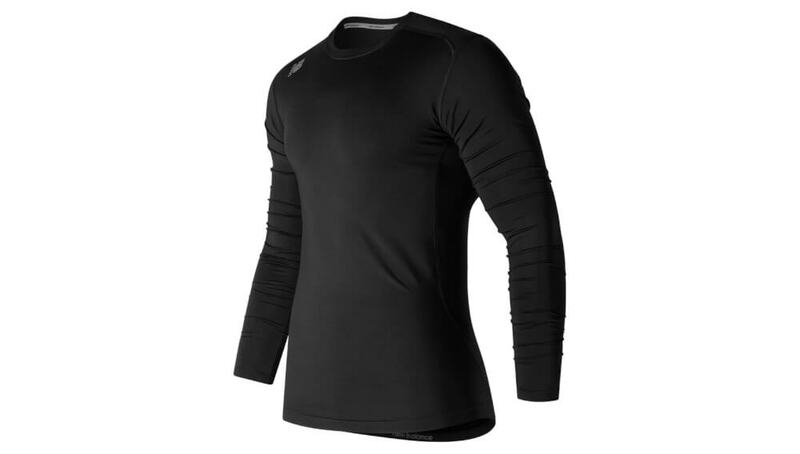 New Balance isn’t the first name that comes to mind when thinking of undershirts, but they have stepped up recently, offering baseball-specific “Asym” undershirts with extra stretch for the throwing arm, offered for left- and right-hand throwers. These “Asym” shirts come in both the long sleeve version pictured and a 3/4 version. 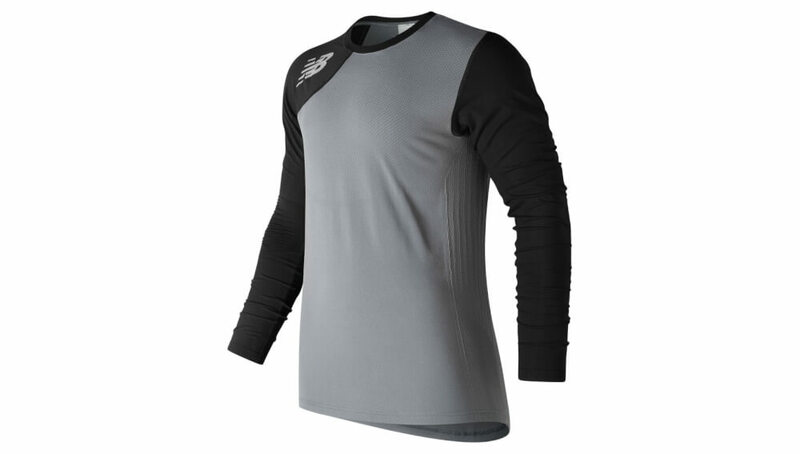 New Balance also offers standard, non-asymmetric undershirts, as well, for a significant discount compared to the Asym version. WSI Sports is a brand that first gained publicity through football, particularly their use in the frigid wild card game between the Seahawks and Vikings in 2016. WSI also offers a baseball line with a wide variety of products (sliders, undershirts, socks, sleeves). Pictured is the HEATR Body-Mapped Base Layer. While there is lots of leeway in what players can wear under their jerseys, outer layers are limited to authentic MLB gear. 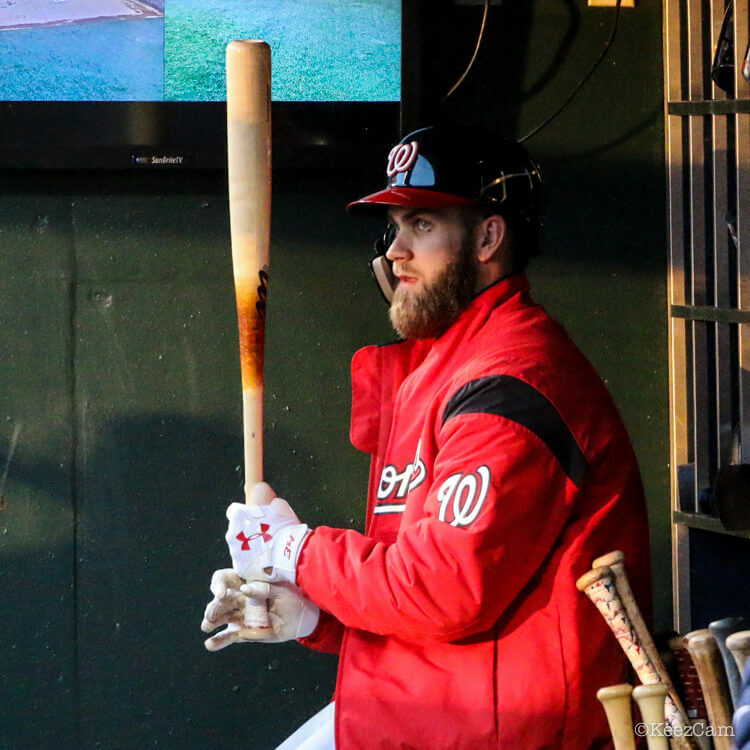 In cold weather, the jacket pictured above on Bryce Harper, is the MLB standard. Its the Majestic Therma Base Thermal Full-Zip. 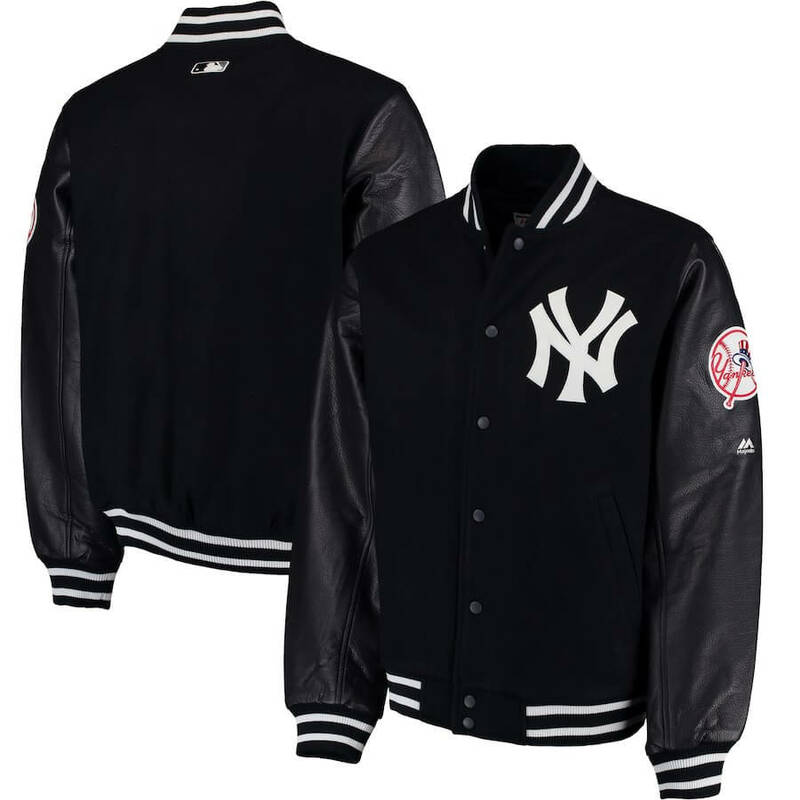 Recently in 2018, some players were seen wearing varsity jackets in the dugout. There are lots of assorted styles at that link, some better than others. 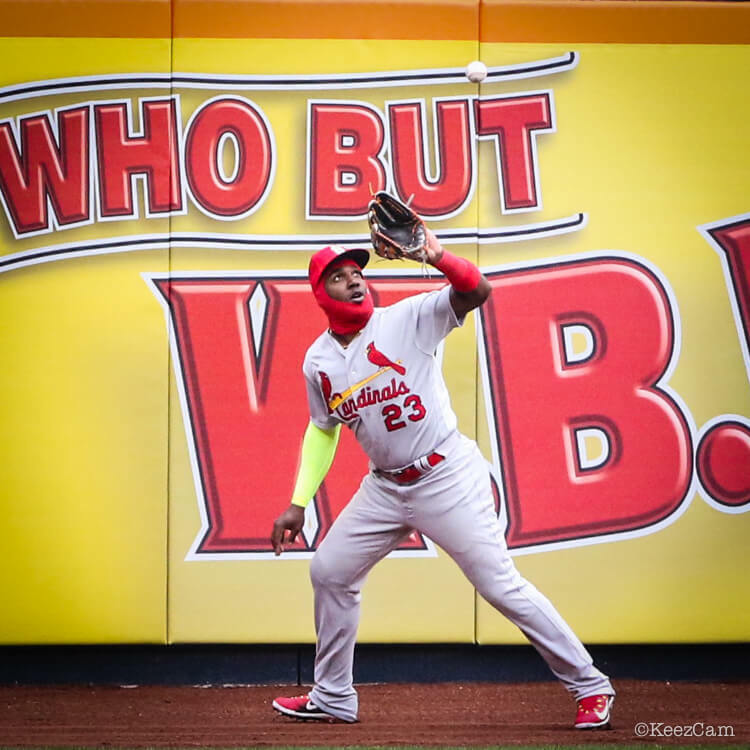 New Era, as the official supplier of all MLB headwear, makes the knit caps and balaclavas that players wear early in the season and into October. New Era’s MLB knit caps are great for dugout down-time. 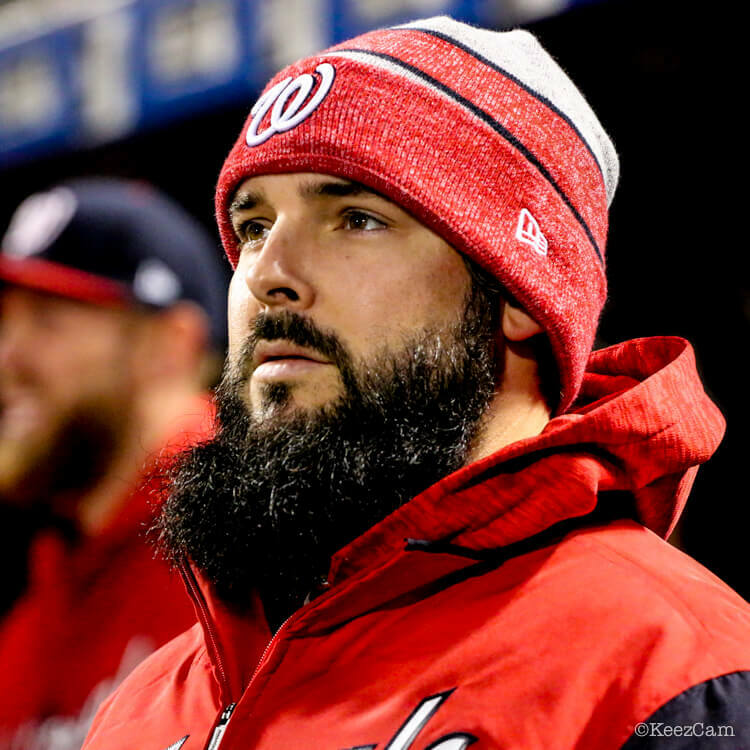 Tanner Roark power beard not included. The balaclavas, the hood/mask thing that Marcell Ozuna (and Ryan Zimmerman in the feature) is wearing, are available in very limited collection for select teams. Phillies version is still available from MLB Shop, but most are sold out. Maybe they’ll re-stock in the next few weeks. 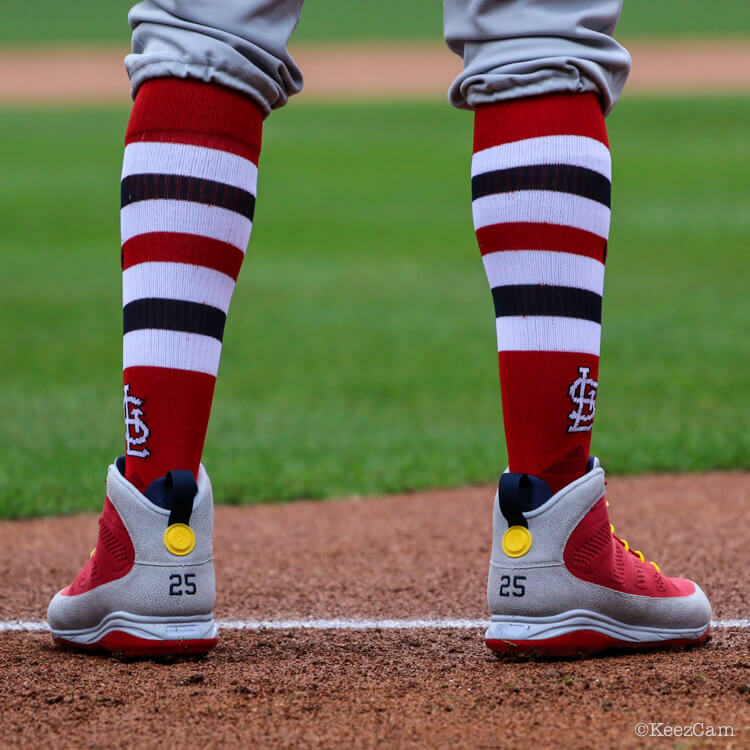 Stance’s on-field OTC (over the calf) MLB socks, according to their website, offer “maximum thickness.” For even more warmth, doubling up on socks can be helpful (some players double up on leggings too–heck, Mookie will do it even if it’s ninety degrees out). If you read WPW regularly, you are likely familiar with the Trusox Francisco Lindor wears under his stirrups. 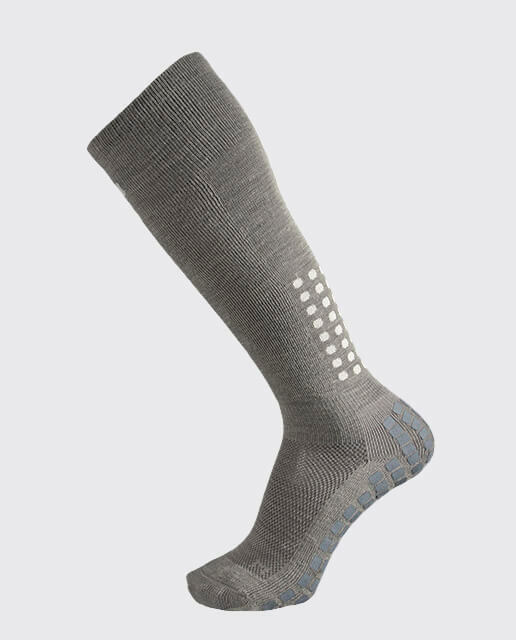 Trusox does offer winter socks that are supposed to help regulate the temperature in the feet during winter, but they only come in gray. If you wear your pants long and your socks aren’t visible, you might get away with wearing these, but any high sock or stirrup wearers probably won’t be able to pull these off. Finally, WSI Sports, the company mentioned above, also offers socks made for the cold. They advertise them for temperatures between zero and fifty degrees. 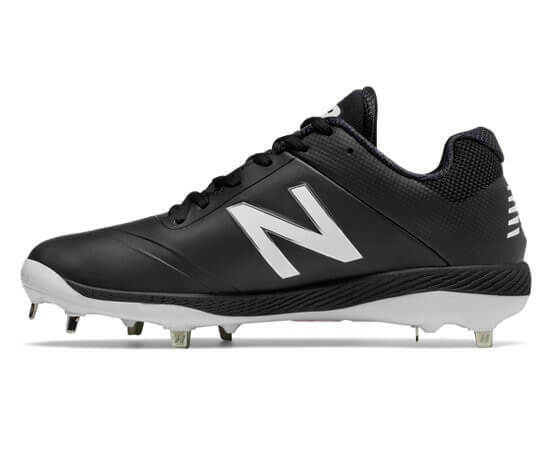 While it’s tough to tell if any pros use them, because aesthetically there’s not much of a difference from the normal version, New Balance does offer their 4040v4 cleats in an “elements pack” version, that are made with a Nubuck upper instead of the typical mesh to stay dry in various wet conditions. Franklin’s Cold Weather Pro batting gloves were first reported on by WPW over five years ago (click the link for some old-school WPW). They’ve consistently been used by MLB players in cold weather, regardless of that player’s contract obligations. 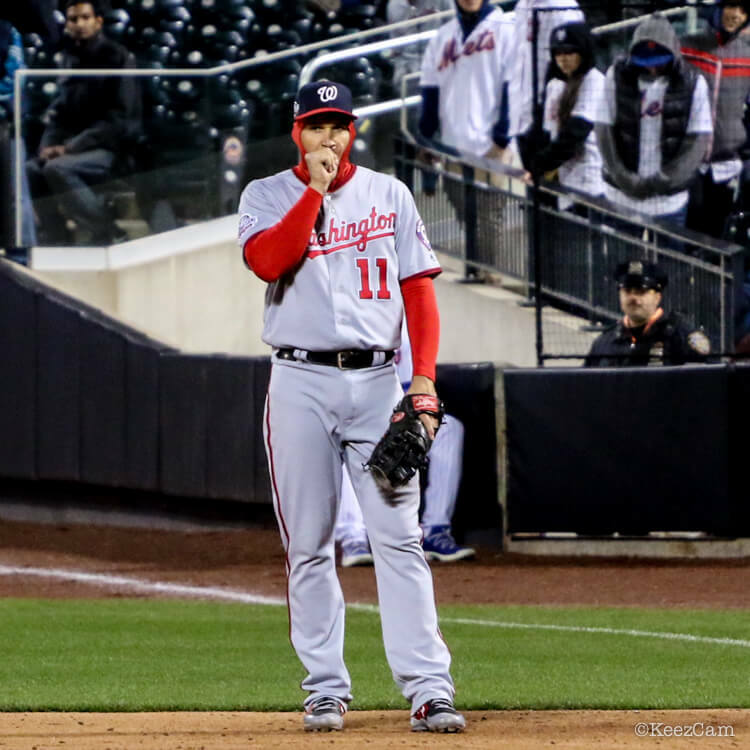 Like Tulo, who slapped on a Nike logo, Michael A. Taylor of the Nats (below) wore the Franklin All Weather Pro, despite his adidas sponsorship. He just removed the Franklin logo. The All Weather Pro batting gloves are the best option for cold weather. 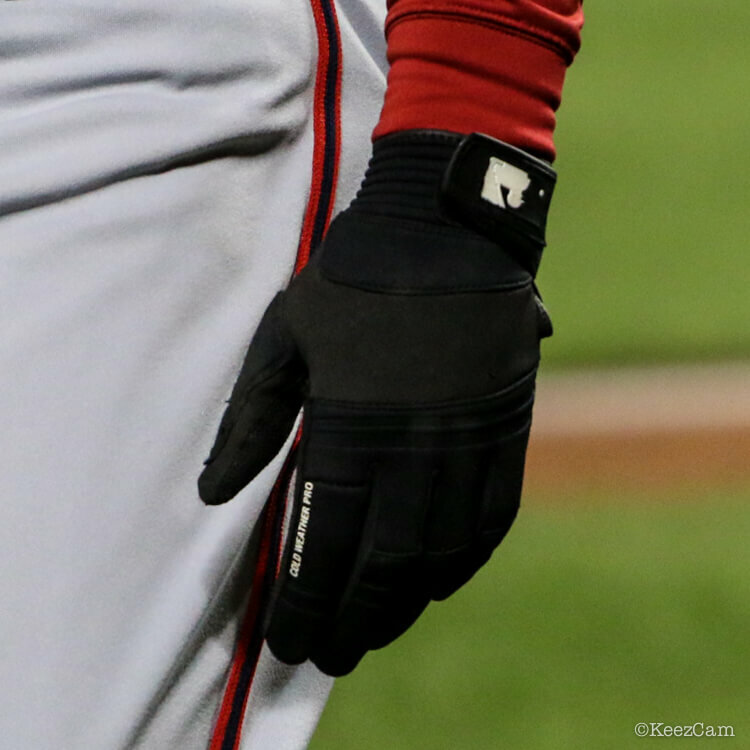 While Franklin stands behind these gloves for hotter weather, too, these are used by MLB guys only in cold weather. If we only had the budget for one pair of Franklins, they’d be CFX Pros, Powerstraps, or Pro Classics.